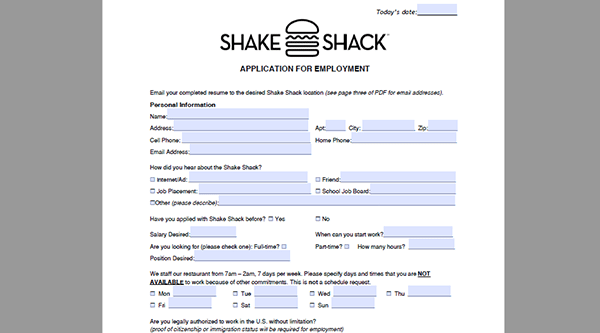 The Shake Shack job application is available as a .PDF file (downloadable) as well as on the company’s jobs website. More details regarding the online application process can be viewed in the section posted below. If you need help when filling out the .PDF document scroll down to the bottom section (on this page) for detailed instructions. 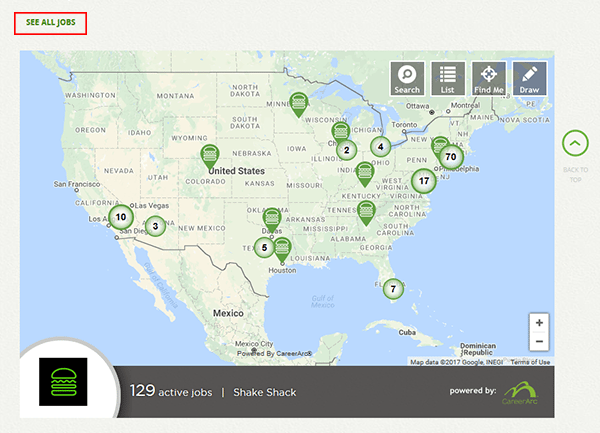 About the Company: Shake Shack is an American chain of “fast-casual” restaurants headquartered out of New York City. The company was formed in 2004 and operates over 110 locations both in the United States and abroad. Step 1 – Go to the company’s main employment page (click here). Step 2 – Scroll down the page and click the “See all jobs” link (outlined in red in the below screenshot). 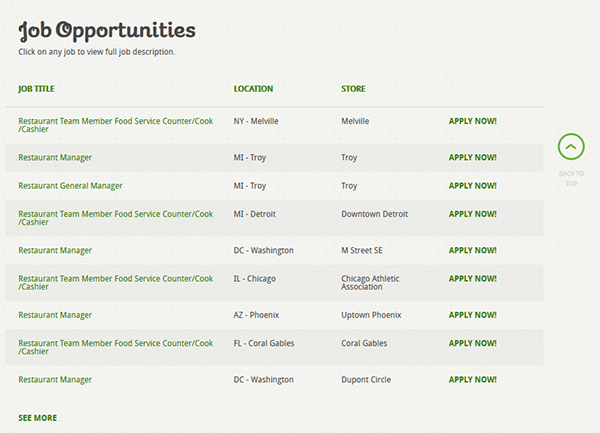 Step 3 – Press the “Apply Now” link next to the specific job that you want to start the online hiring process for. 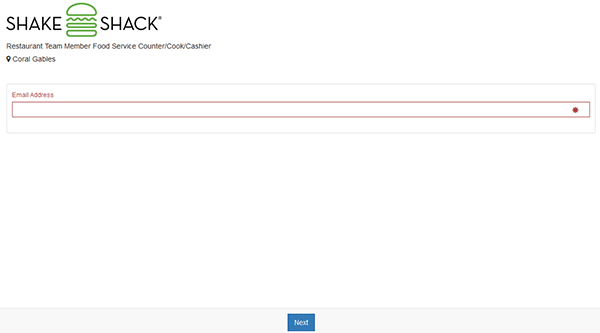 Step 4 – Fill in your email address and then hit the “Next” button. Have you ever been employed by the company before? 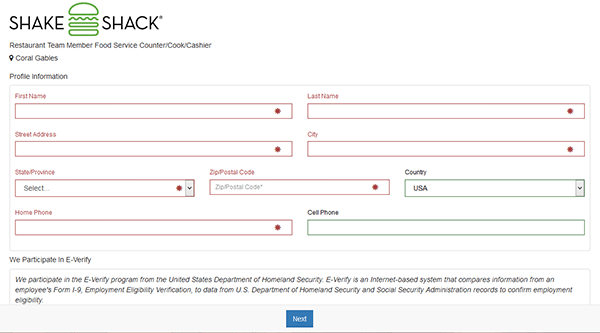 Step 7 – Press the “Next” button to go to the next section of the form. Submit ALL required data in order to complete the online hiring process. Step 1 – Download the .PDF document by pressing the button/link at the top of the page.